Prominent & Leading Manufacturer from Kolkata, we offer semi automatic mustard oil extraction machine, oil expeller, oil mill, potato slicer and table model oil expeller. Rising Industries are manufacture and supplier of Mustrad oil mill machines which are specially designed to be used for mustard oil extraction. This Mustrad Seed Oil Expeller can crush mustard seeds. With rich market knowledge as well as experience, we have been able to emerge as a trusted manufacturer and supplier of Oil Expeller. 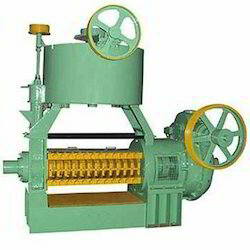 We manufacture this machine with the help of our skilled manpower using best quality cast iron and steel. 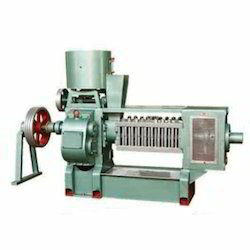 This machine is used to extract oil from edible as well as non-edible oil bearing material. We check this Oil Expeller on defined quality parameters to provide the best range to clients. Also, we offer this machine at cost effective prices. A professionally managed company engaged in offering a wide range of Oil Expeller that is used to extract oil from edible as well as non-edible oil bearing material. It is manufactured of premium quality raw materials and using innovative technology which make it durable and reliable. It is designed by our team of highly skilled professionals in compliance with industry standards. This Oil Expellers has many special features such as maximum oil yield at low operating cost, low power consumption, robust design, sturdy construction and cost effectiveness. We have been recognized amongst the leading organization engaged in manufacturing and supplying Oil Mill . Our expert manpower uses best quality cast iron and mild steel, sourced from trusted vendors to manufacture this machine. 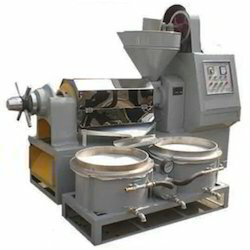 This machine is used to extract oil from a wide range of oil seeds. This Oil Mill comprises of screwing oil press, heating chamber and vacuum filter. We offer this machine at cost effective prices. Since our inception in the year 2004, we have been betrothed in offering a wide array of Potato Slicer. Ideal for cutting potatoes into strips and slices, the offered machine is used to make chips in resorts, food corners, hotels and many other places. Our valuable clients can buy this machine from us at affordable rates in fixed time frame. Beside this, the provided Potato Slicer is manufactured using premium quality components and modish techniques. We are the manufacturer and exporter of excellent range of Table Model Oil Expeller. 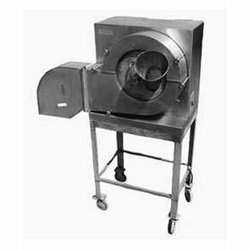 In addition to this, the entire range of the namkeen frying machines offered by us is highly regarded for its resistance to wear and tear and abrasion. Resistant to wear and tear, and abrasion, this offered mixer machine is highly appreciated among the client-base, we have reaped so far. A professionally managed company engaged in offering a wide range of Table Model Oil Expeller that is used to extract oil from edible as well as non-edible oil bearing material. It is manufactured of premium quality raw materials and using innovative technology which make it durable and reliable. It is designed by our team of highly skilled professionals in compliance with industry standards. This Table Oil Expellers has many special features such as maximum oil yield at low operating cost, low power consumption, robust design, sturdy construction and cost effectiveness.